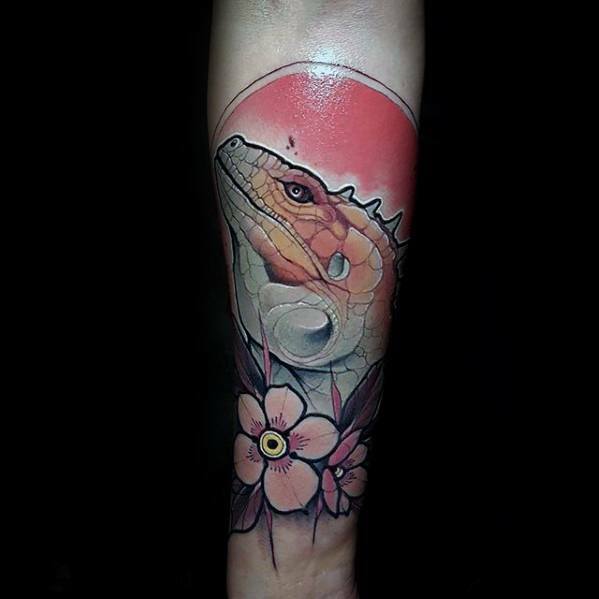 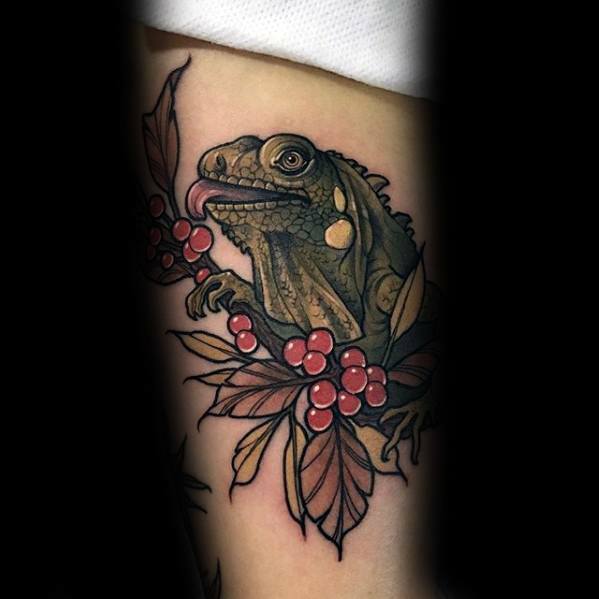 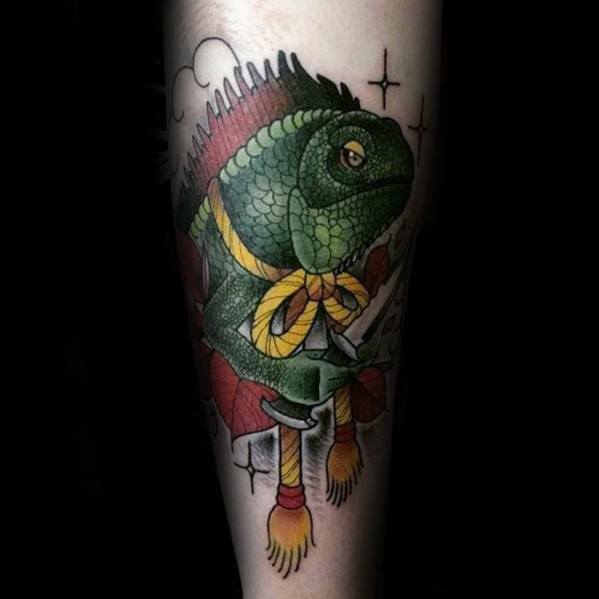 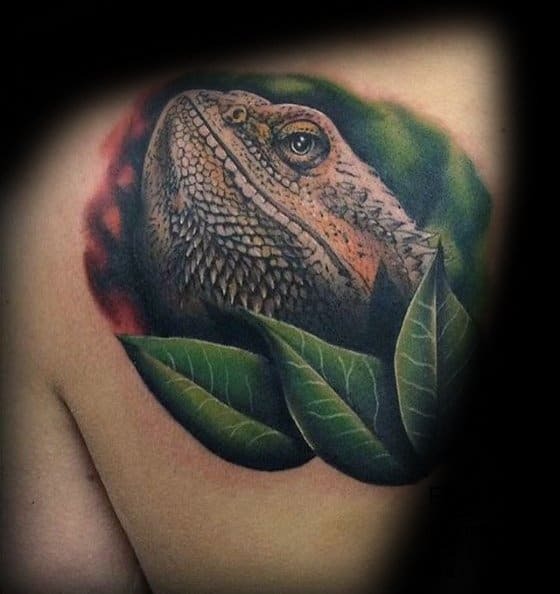 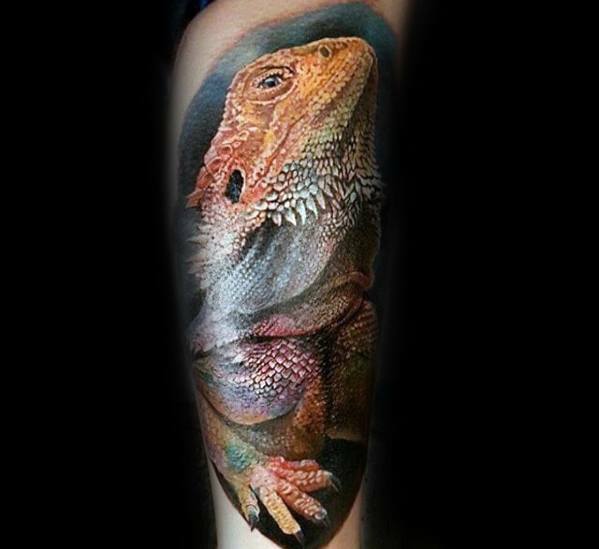 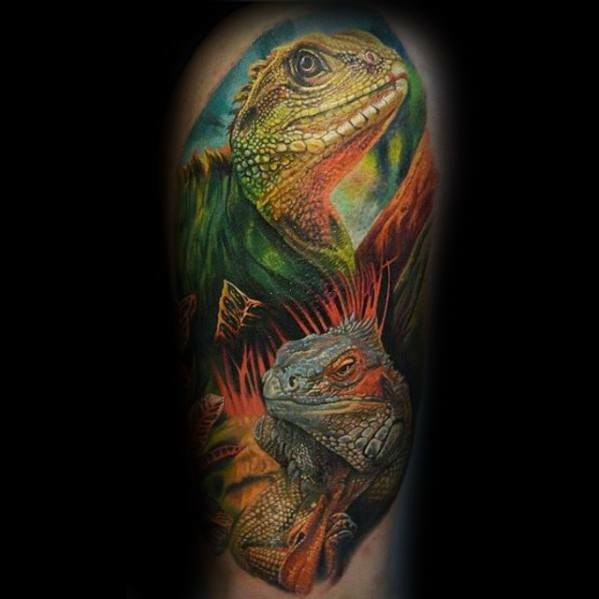 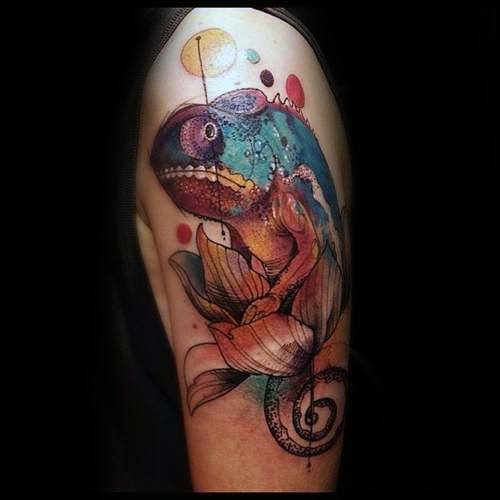 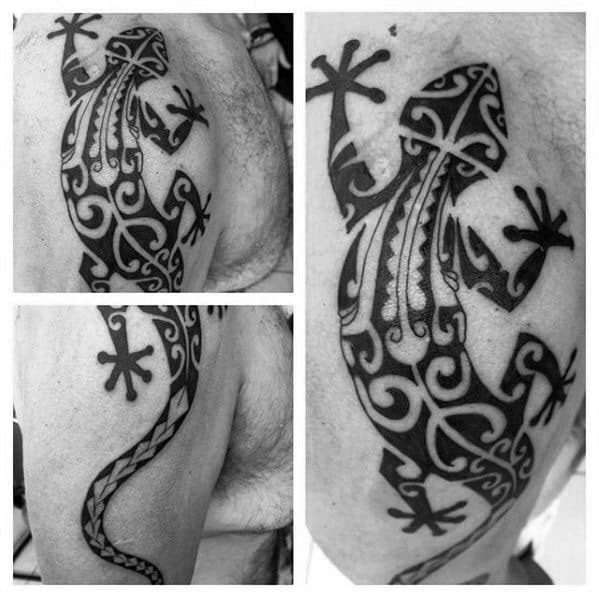 Infinite charm is laced within the regal energy of iguana tattoos. 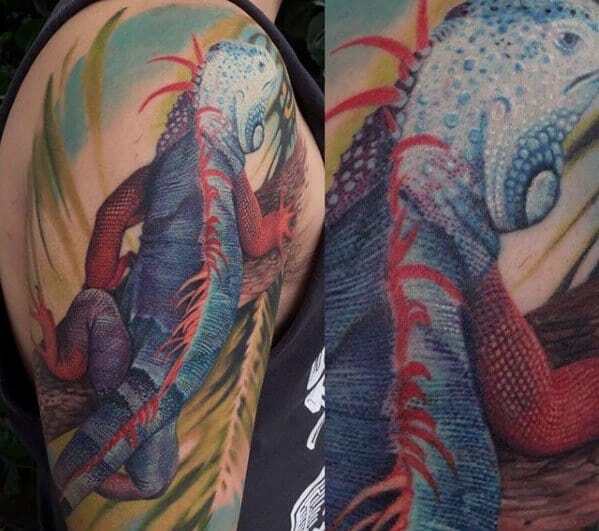 These invigorating lizards will provide an enormous sense of calculated masculinity. 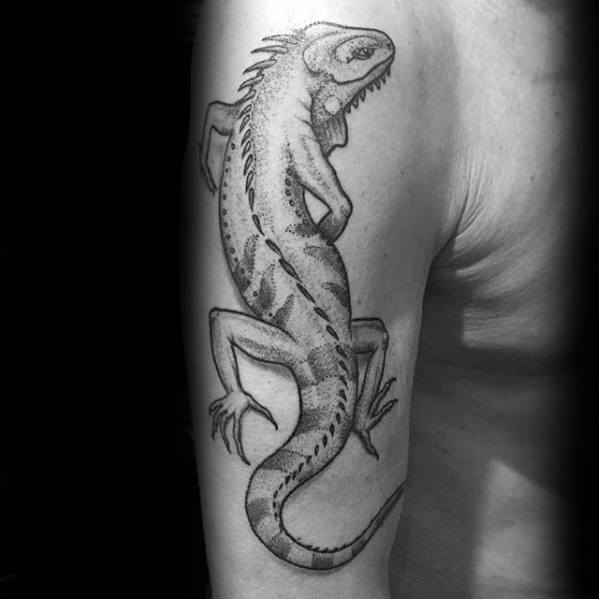 Their cold-blooded brilliance will shrewdly lend a resolved sense of confidence to any guy. 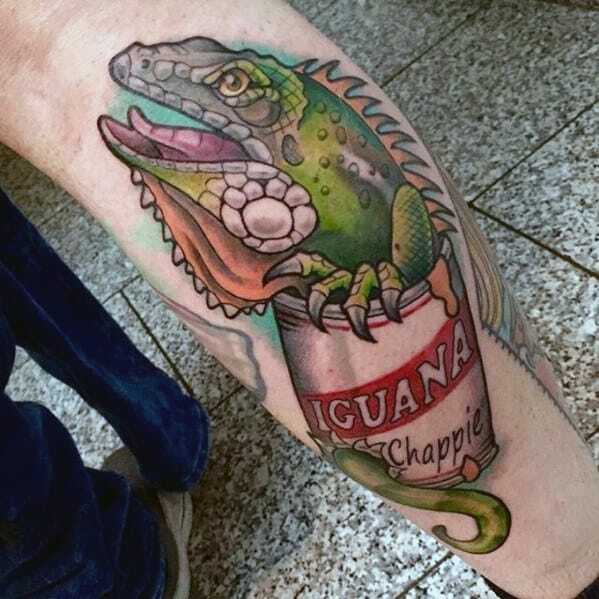 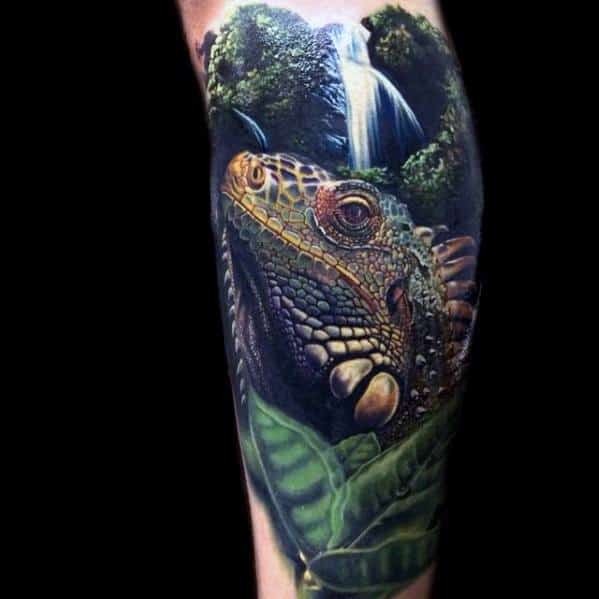 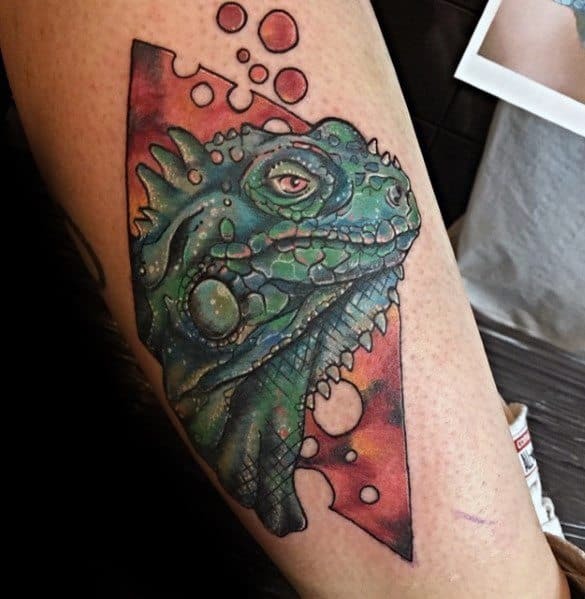 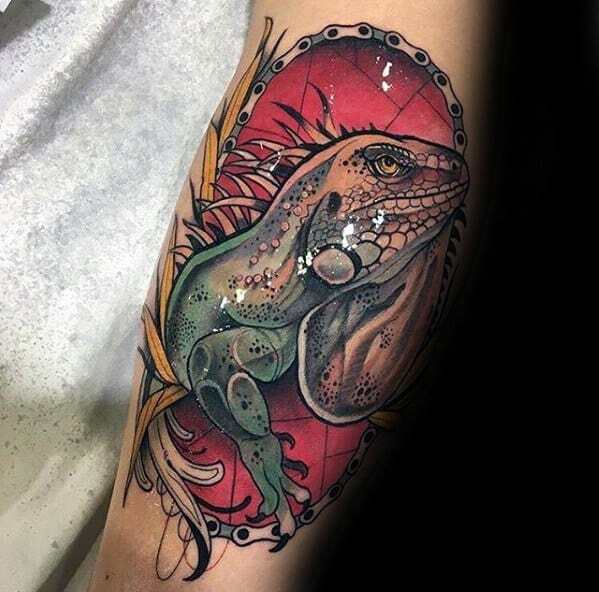 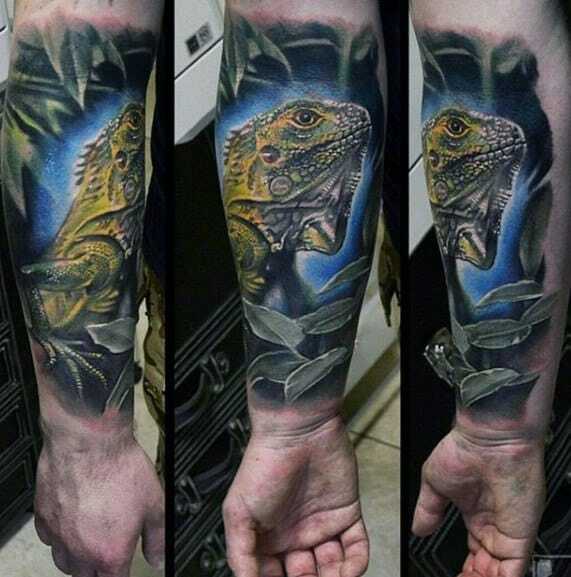 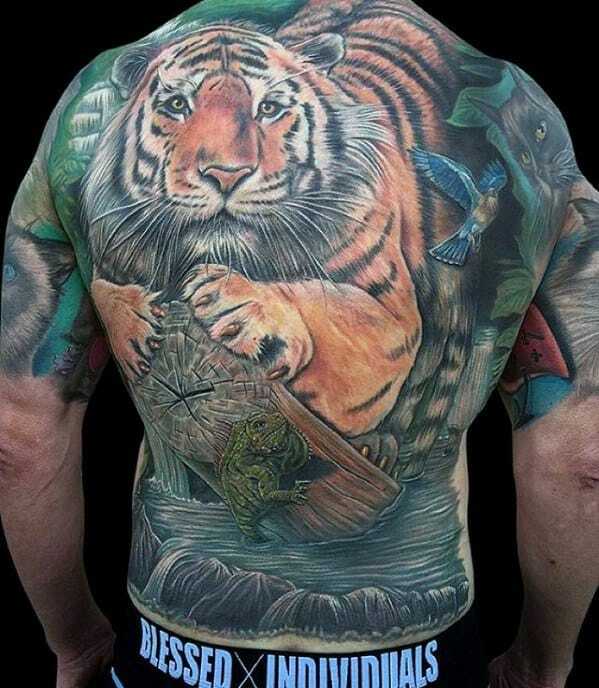 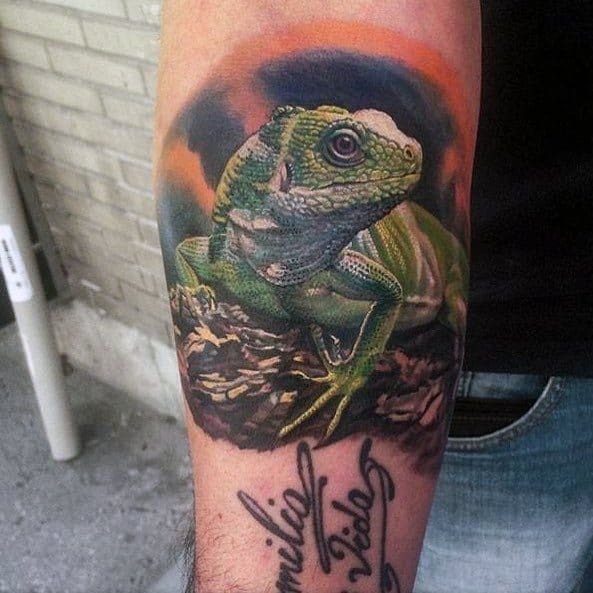 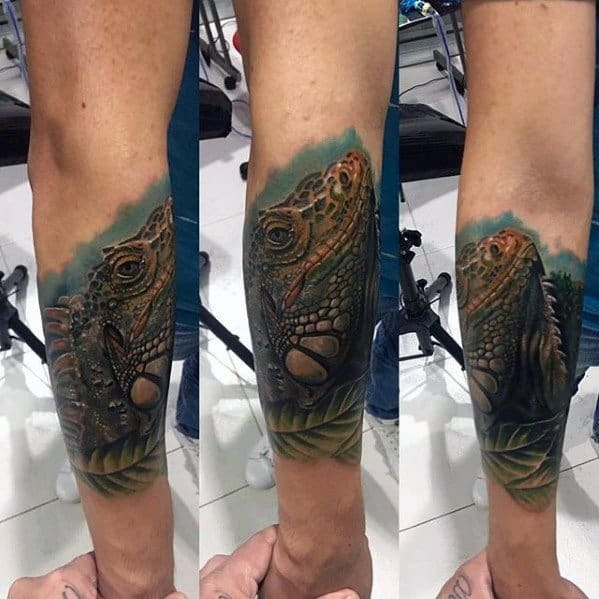 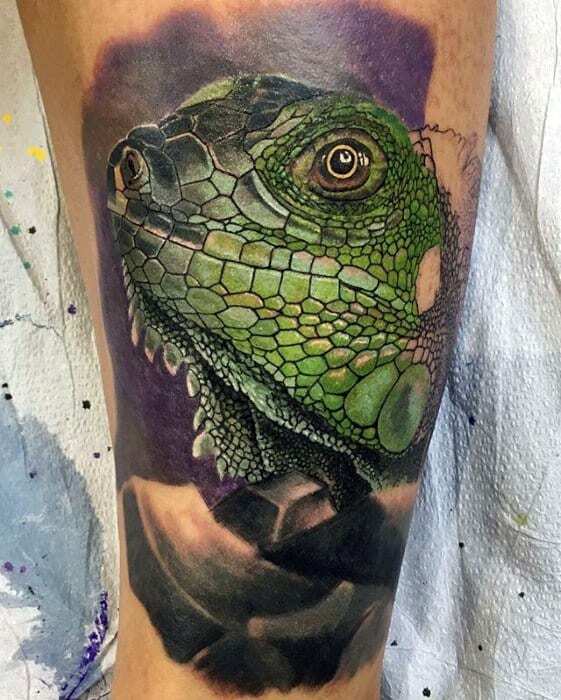 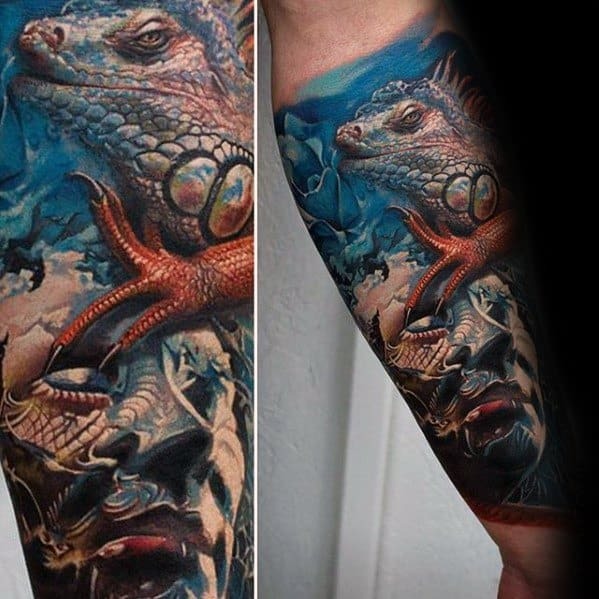 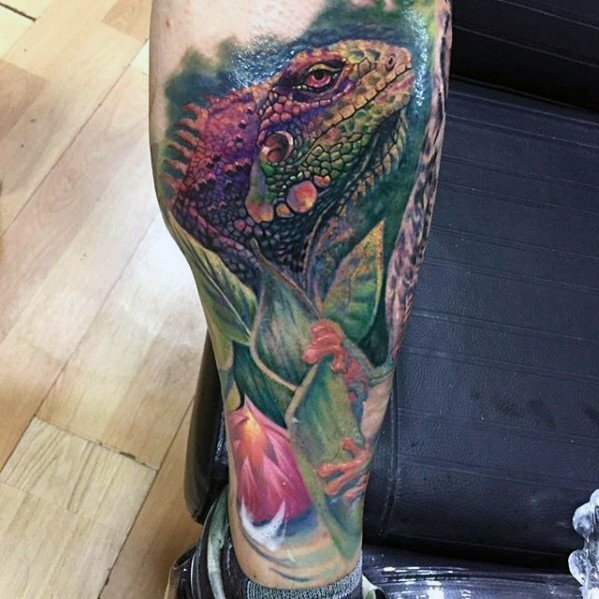 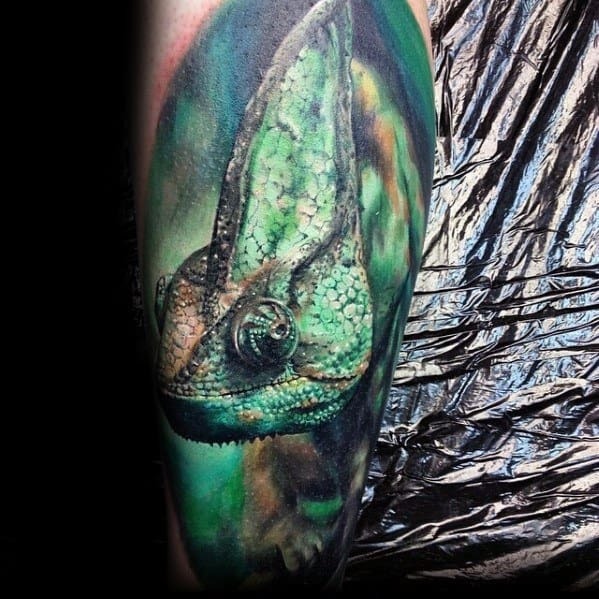 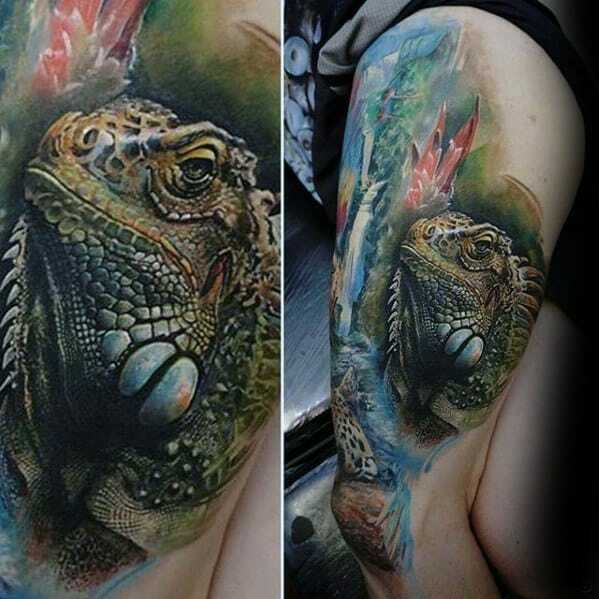 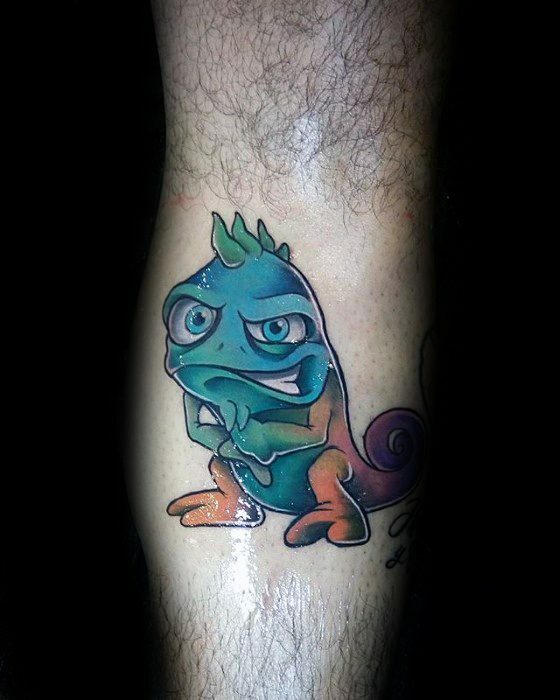 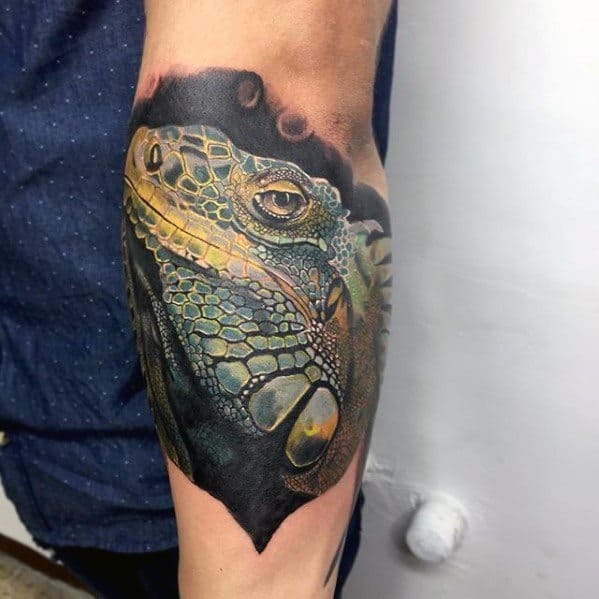 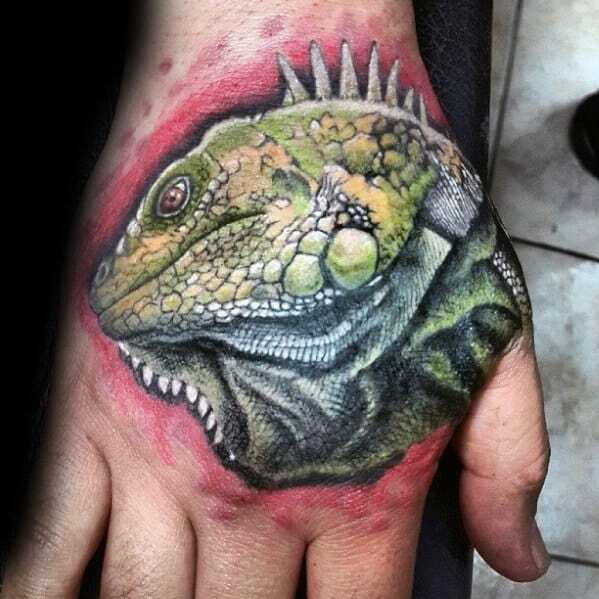 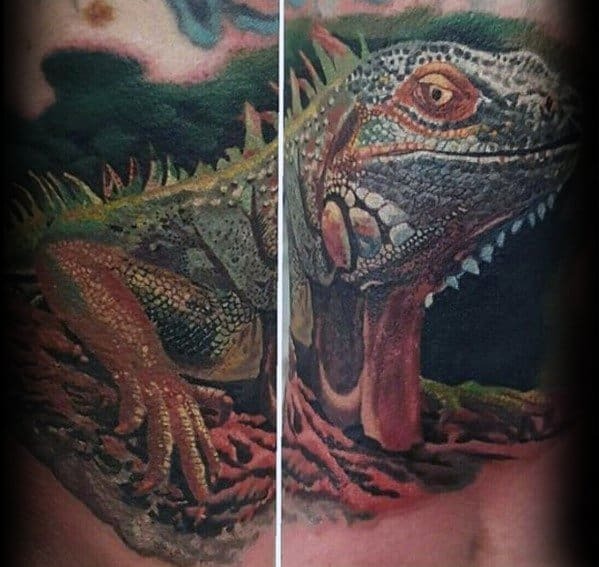 Iguana ink is in a bold league of its very own. 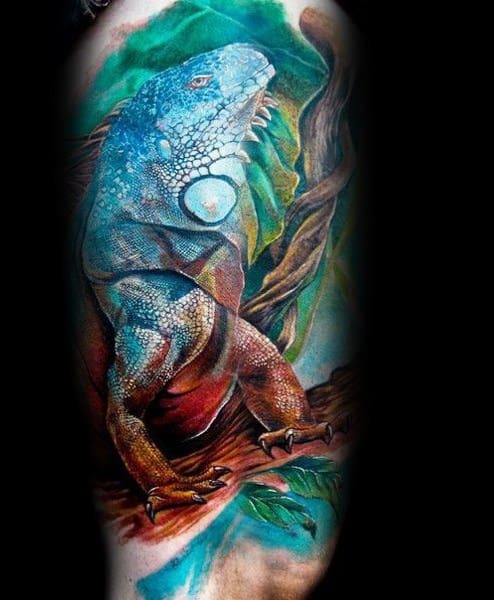 These creatures are known for exotic aesthetics and a cunning perspective on reality. 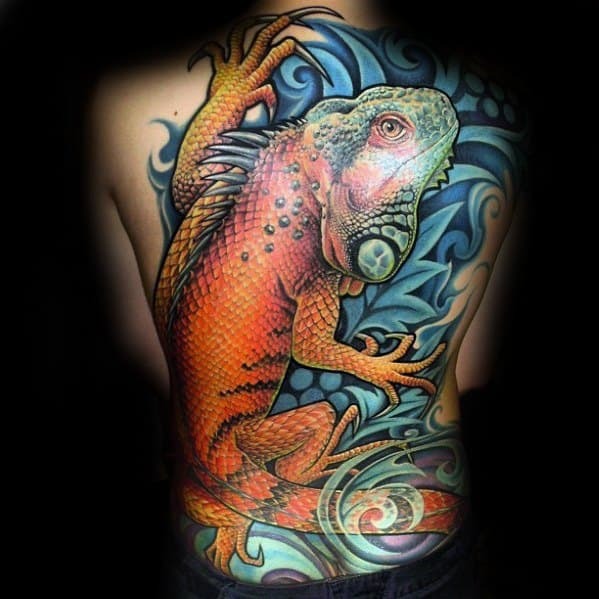 Their capacity for stillness is often associated with deep contemplation, meditation and acceptance. 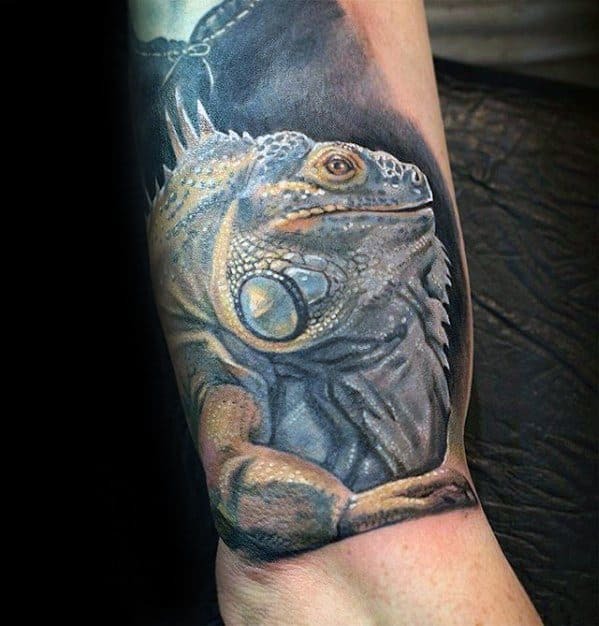 With dramatic repose and a serene demeanor, these amazing animals offer a serious understanding of enlightenment. 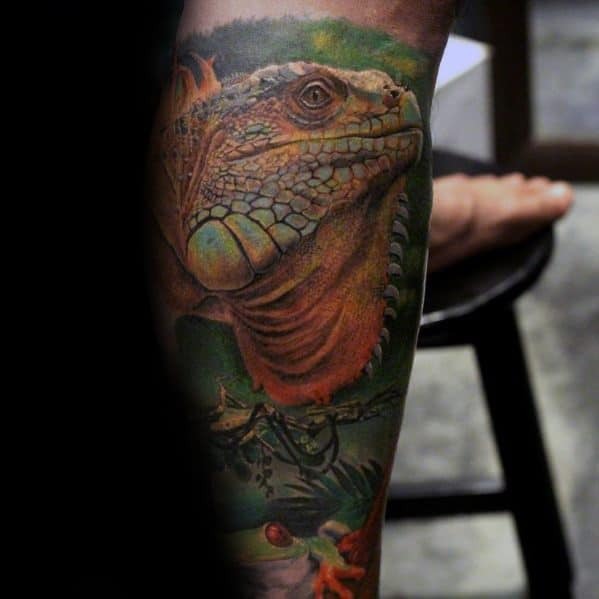 For a dynamic presentation, endless shades of green can be utilized in an iguana design. 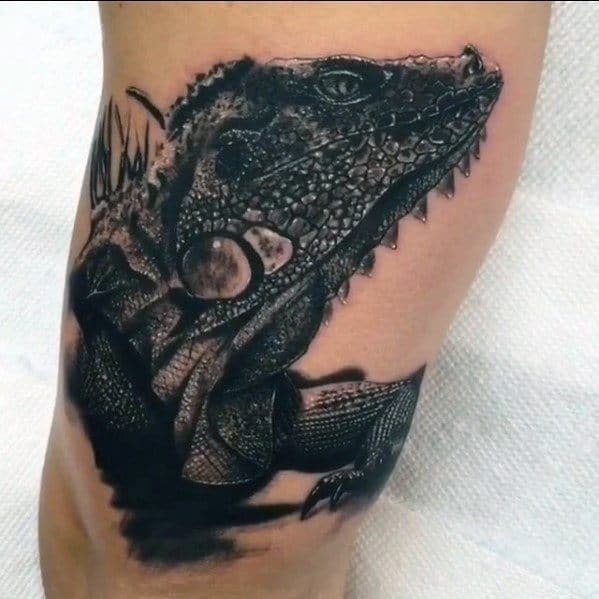 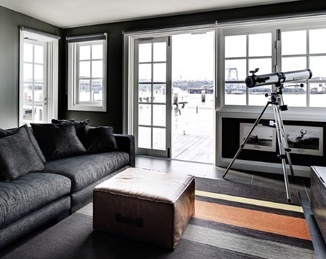 Of course, black-and-white schemes are an equally lively selection, and this route supplies an emphatic dedication to the reptile’s art of camouflage. 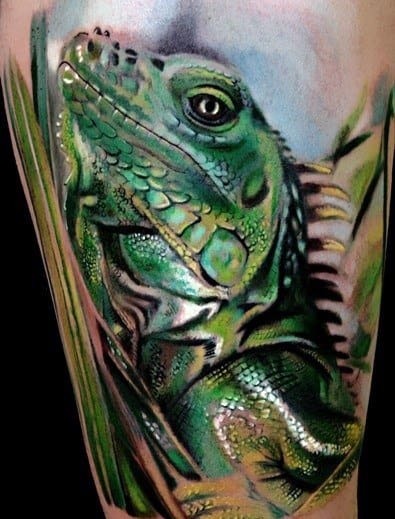 In iguana tattoos, the eyes are typically granted special attention. 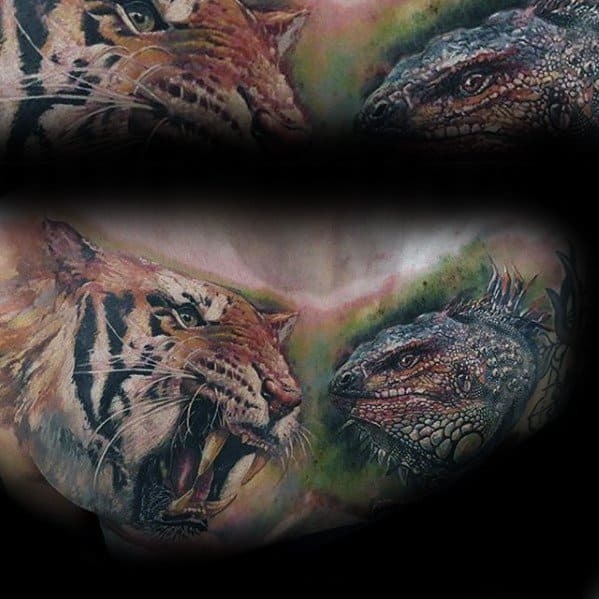 The expression in this focal point can determine the emotional response being elicited by the overall piece. 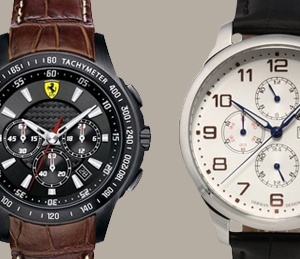 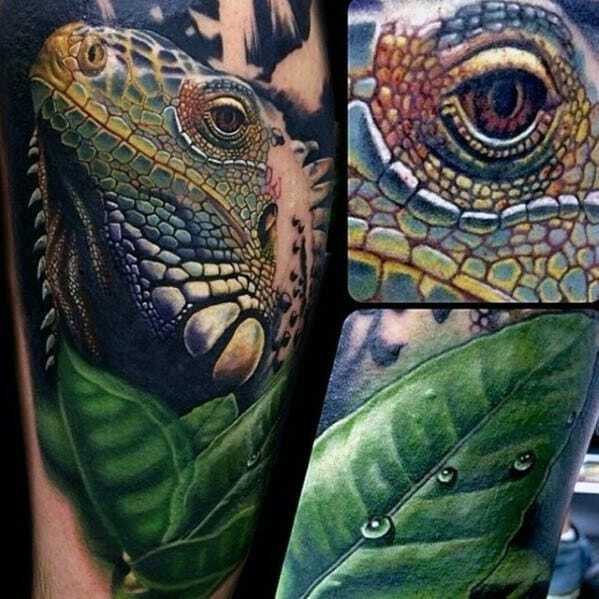 Both scales and spikes provide the opportunity to pursue hyper-realism. 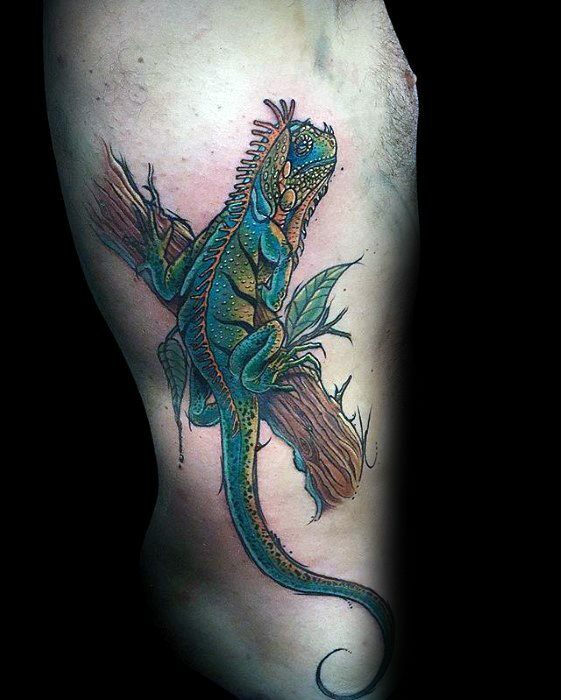 Meanwhile, desert environments potently supply pronounced atmospheric effects for these enticing critters. 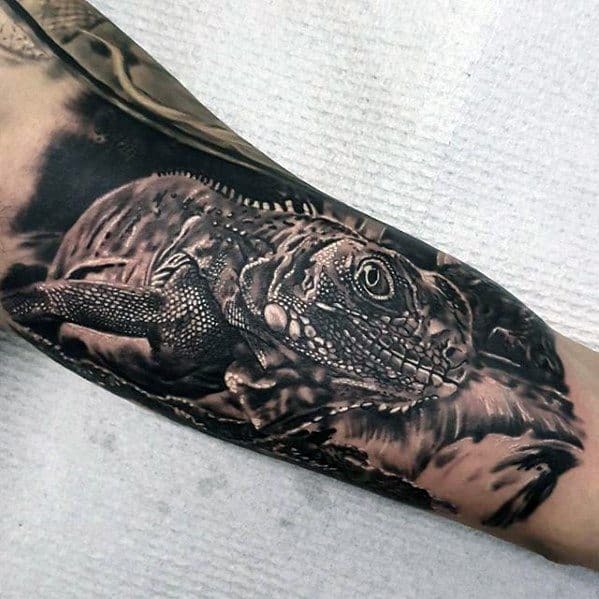 Because iguanas have forged natural habitats all over the world, replicas of them are often connected to gentlemen who feel like global citizens. 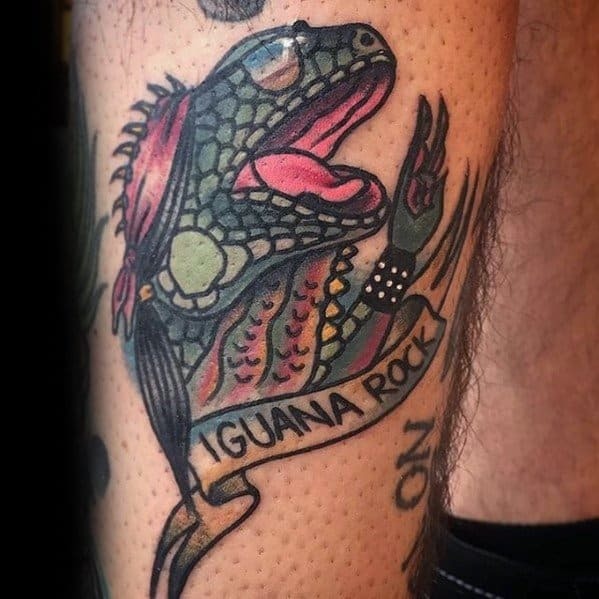 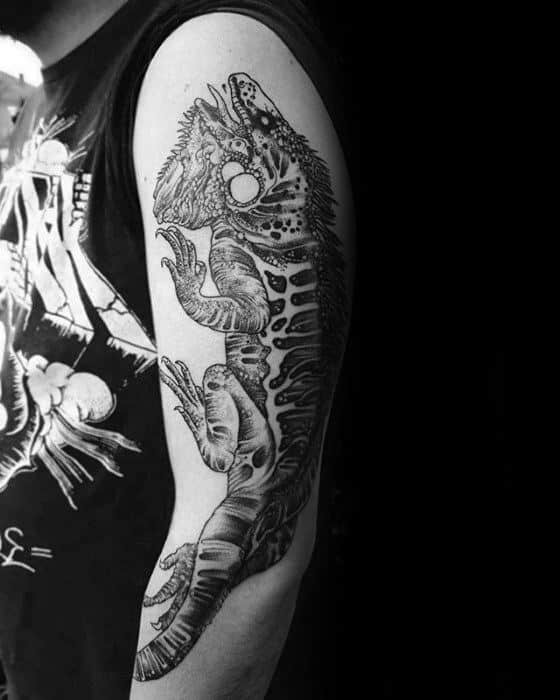 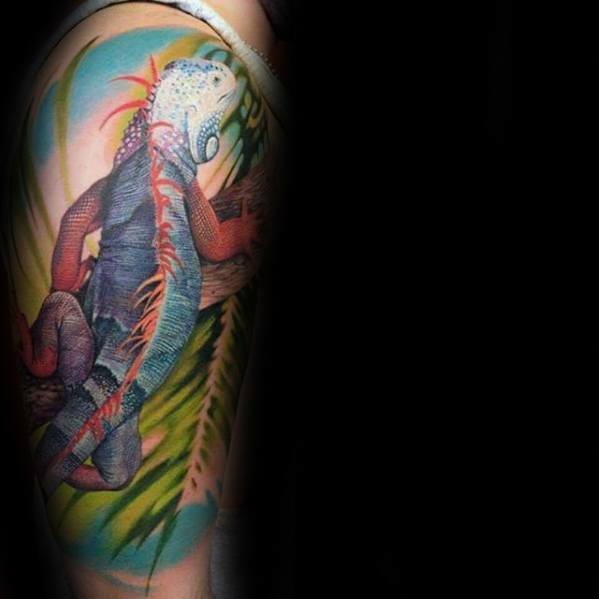 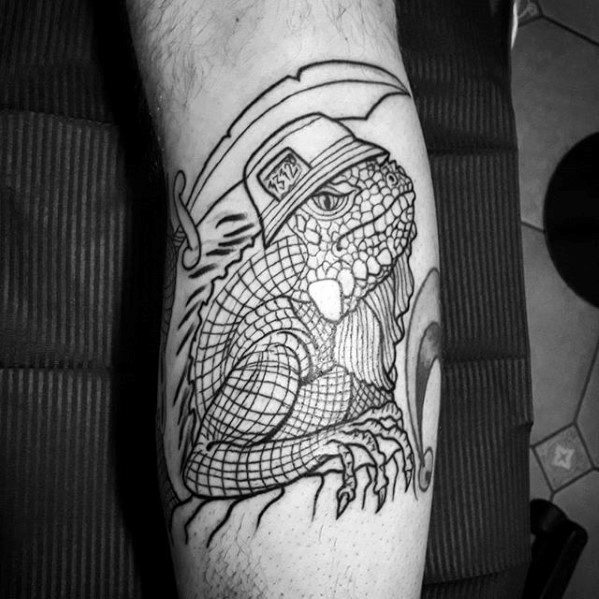 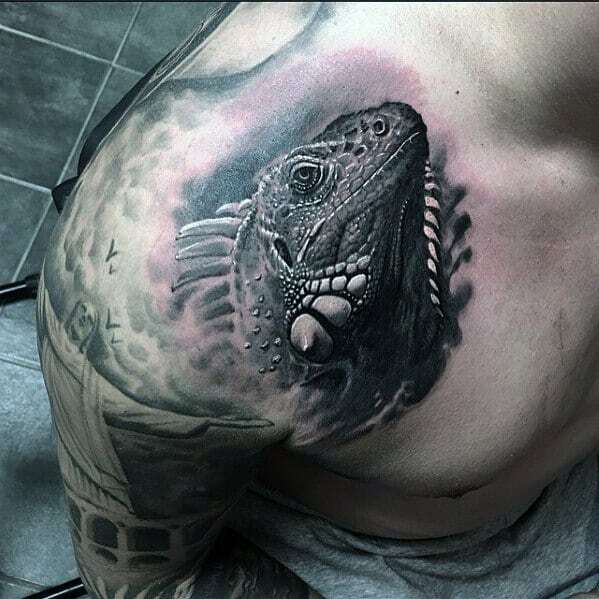 Thus, a universal point-of-view is automatically attached to the glorious icon of an inked iguana. 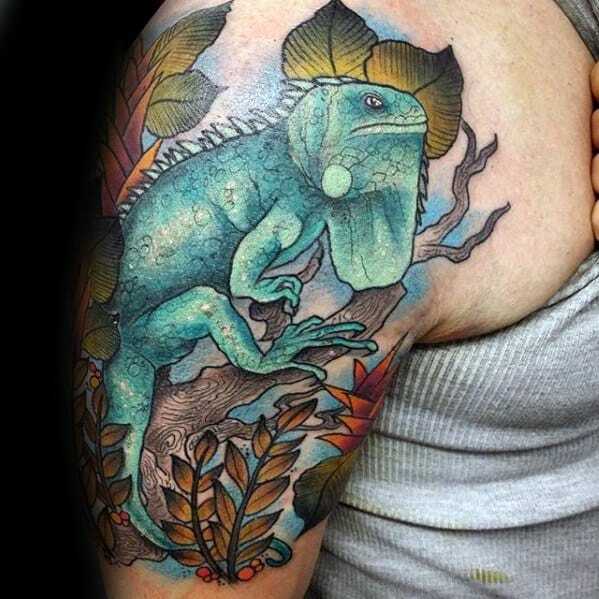 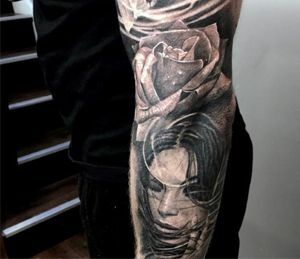 There are plenty of species to choose from, so tattoo connoisseurs can pick a specific variety to accurately signify regional bona fides. 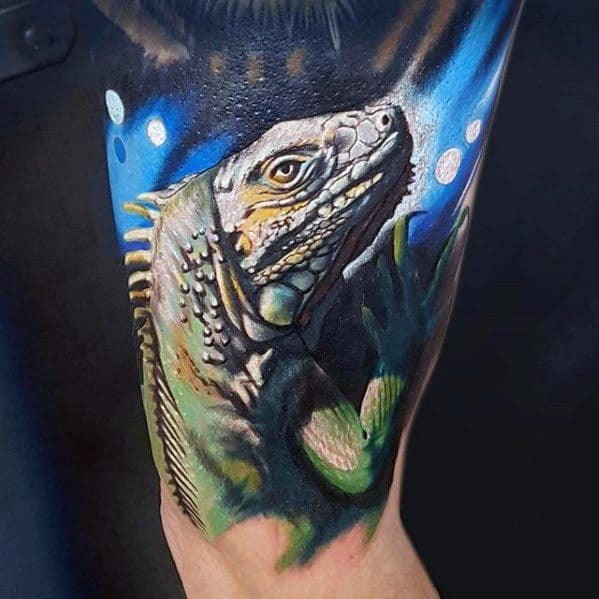 To witness the masterful dominance of iguana body art firsthand, simply browse our comprehensive catalog of ideas to spark your own inspired production.